NETWORK. EAT. DRINK. BE MERRY! It’s that time of year – a time to celebrate with old friends and colleagues and a time to meet new friends and forge new relationships. 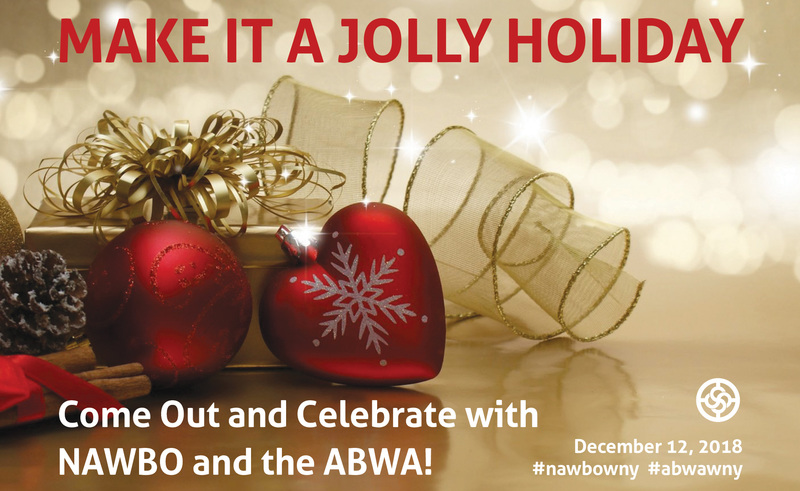 NAWBO Buffalo Niagara and ABWA join forces to bring this merry holiday celebration to you. In the spirit of giving, ABWA and NAWBO will be accepting donations of gently used business attire for women in need entering or re-entering the workforce. In addition, ABWA will be holding a 50/50 raffle and auctioning off a large gift basket. Proceeds will go directly to purchase gifts for the children at Berkshire Farm Center & Services for Youth. ABWA is also accepting extra wrapping paper, bows, and cards to help offset the cost of wrapping presents for the children. Founded in 1886, Berkshire Farm Center & Services for Youth is one of New York State’s leading nonprofit child welfare agencies, serving 8,500 children and their family members across New York State. SOLD OUT! Thank you to all who signed up for this event. For those who are not able to register, please consider joining us for a future dinner meeting.